This watch caught our eye on the International Watch League forum this week. 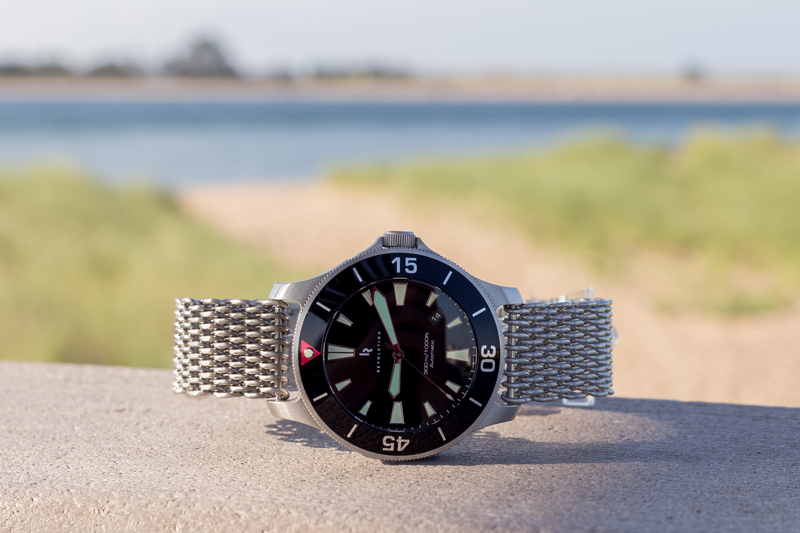 The Revolution Watch Company Diver has been perfected over the last two years, and it launches on Indiegogo very soon. Revolution’s USP is that they source as many US-made components as possible. 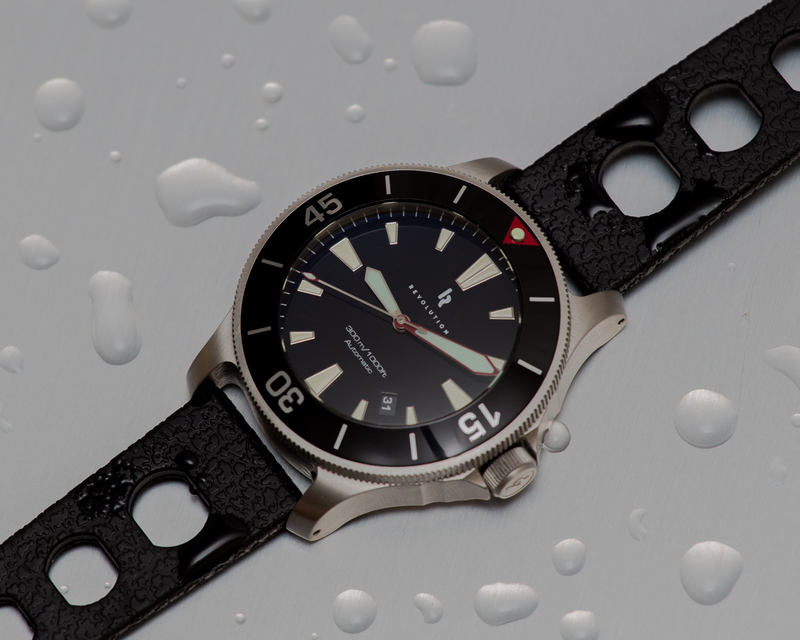 They want to make the “Diver” a true heirloom watch. It costs a little more than most other microbrand watches. That is because every single component of the Diver is designed and manufactured specially for the Revolution Watch Company. Not a single off the shelf part makes it in the entire watch – except for the Miyota 9015 automatic movement and a couple of springs. All of the case parts are machined in the USA. They went to Germany and Switzerland for the dial nothing met their standards stateside. They can’t name the manufacturer for contractual reasons, but they also make some very high-end companies’ dials. The movement is a Japanese Miyota. These are renowned as a robust, modern piece of machinery that will last several lifetimes. 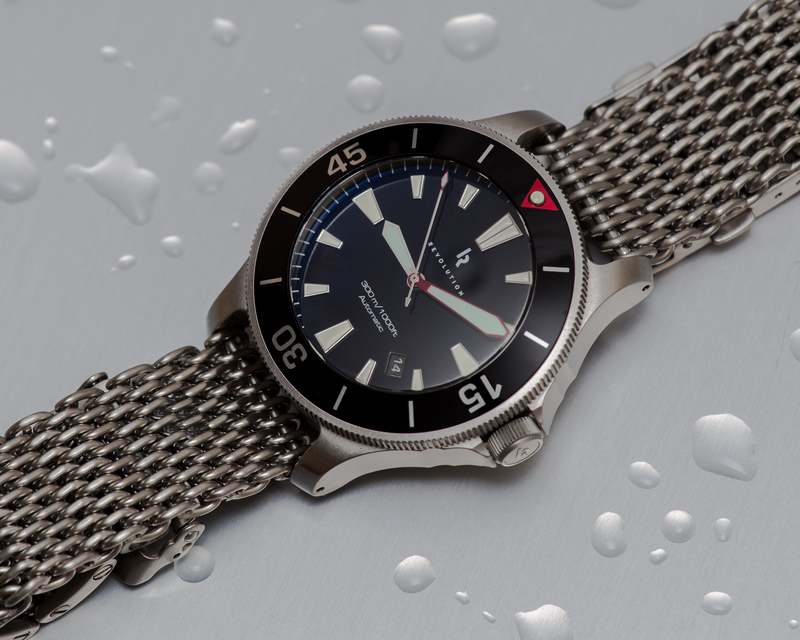 We think the Revolution Watch Company Diver is going to be a winner! It’s coming to Indiegogo for preorders soon but if you sign up as one of their “Minutemen” for a $20 down payment then you get $100 off and you’ll be the first to know when it launches. Find out more at the Revolution Watch Company website. Interesting. Hadn’t heard of these guys. Nice designs. Enter your email address to subscribe to WRUK and receive notifications of new posts by email. When you click on links to some merchants on this site and make a purchase, this can result in this site earning a commission. Affiliate programs and affiliations include, but are not limited to, the eBay Partner Network and Amazon.co.uk.